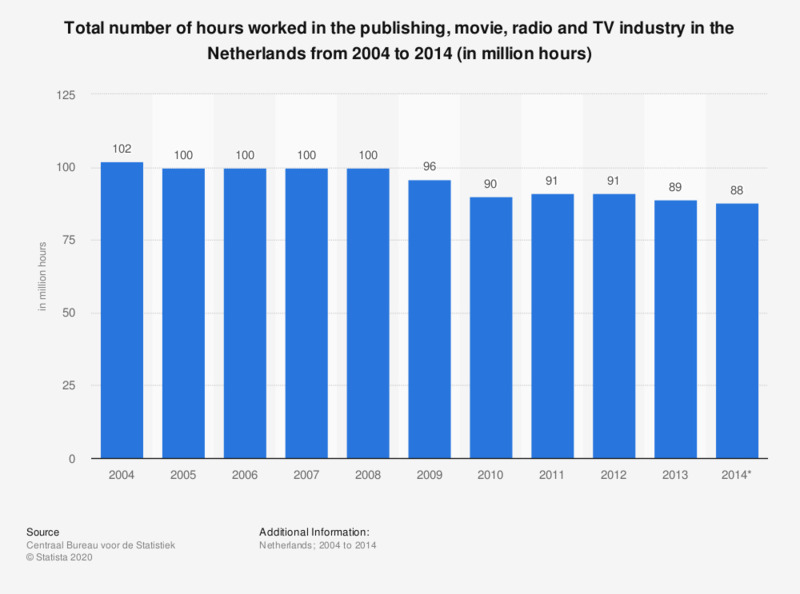 This statistic displays the total number of hours worked in the publishing, movie, radio and TV industry in the Netherlands from 2004 to 2014 (in million hours). It shows that between 2004 and 2014, the annual number of hours worked in this sector declined from 102 to 88 million hours. According to the source, this sector includes: "Publishing; Motion picture and television programme production and distribution; sound recording and music publishing; Programming and broadcasting". * The figure for 2014 is provisional.